Sales of electric vehicles (EVs) and plug in hybrid electric vehicles (PHEVs) more than tripled during January and February of 2013 when compared to the same period in 2012. Overall, sales totaled 9781 during the first two months of 2013 vs 3089 during the same period of 2012. Significantly reduced prices of lithium ion batteries has allowed automakers to offer substantial incentives on EVs and PHEVs while still making a profit. In addition, the number of plug in hybrid and base electric vehicles keeps expanding. The result has been a massive sales jump over 2012. Leading EV and PHEV sales is the Chevy Volt with nearly 3,000 US sales so far in 2013. 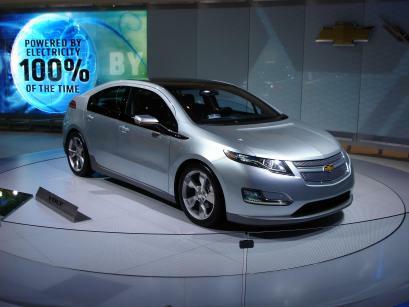 Chevy expects to sell 36,000 Volts globally, a healthy increase over strong 2012 sales. The Volt’s competitors the Plug in Prius Hybrid and the Ford CMax and Fusion Energi PHEVs also made strong showings with combined sales of these models only a few hundred less than that of the Volt. While sales of competing vehicles continues to grow the Volt’s long base electric range of 40 miles combined with a number of very appealing purchase incentives provide a strong basis for the Volt’s continued lead in the PHEV market. Ford CMax and Fusion Energi which both support base electric ranges of 20 miles appear poised to take market share from the shorter range Prius Plug-in although significant incentives and strong marketing may help support the Prius for some time. Base electric vehicles including the Leaf, Tesla luxury EVs, the Ford Focus Electric, Toyota’s RAV 4, Honda’s Electric FIT, and the Mitsubishi iMiEV showed combined sales of about 4,200. Among these, the increasingly cost-competitive Leaf, the Mitsubishi iMiEV, and Tesla’s luxury brands appear to dominate. A very economic SMART ForTwo EV will begin selling in March for a base price of 25,000 dollars without incentives and a range of 68 miles. As a city-only vehicle and including state, federal and dealer incentives, the ForTwo will likely be very appealing to customers in metro areas where the price of gasoline currently averages over 4 dollars per gallon (cutting 2,000 dollars or more each year off the gas bill). If current trends in EV and PHEV sales continue, it appears these vehicles may approach the 100,000 sales mark by the end of this year. Gasoline prices are likely to continue to push drivers toward these far more efficient vehicles with prices for gasoline in 2012 showing highest ever averages that are unlikely to abate much through 2013. As near back as two years ago, consumers had very limited options when it came to combatting high fuel prices. But, thanks to the EV charge led by the Chevy Volt, those options are no longer relegated to bike riding, car pooling, and staying at home. And, for Californians suffering from the highest spike in gas prices in state history, this new option couldn’t come too soon. Over the past few weeks, a supply crisis has disrupted fuels shipped to California and resulted in gasoline prices averaging over $4.60 a gallon statewide and over $5.50 a gallon in some locations. “I haven’t seen a series of incidents like this, and it has led to the worst panic-driven rise in gasoline prices that I have seen in 35 years,” said Tom Kloza, chief oil analyst for the Oil Price Information Service in a recent interview with the Los Angeles Times. “When you’ve got such a small handful of owners controlling 14 refineries, it is inevitable that prices will go through the roof where there is friction in the delivery system,” said Jamie Court, president of Consumer Watchdog. But a recent surge in electric vehicle sales, over 5600 sold last month, is providing fed-up California drivers with options they never enjoyed before. Of the 5600 electric vehicles sold, a high proportion were purchases by California motorists. State support for EVs is through the roof and eccentric inventor Elon Musk keeps pounding the electric vehicle drum-beat. Musk, just today, heightened investor interest in electric vehicles by purchasing 35,000 shares of his California-based EV manufacturer Tesla Motors. This was, perhaps, a consolidation ahead of a potential buyout of the niche electrics manufacturer. Meanwhile, prices keep falling for the Chevy Volt which is now offering leases for as low as $249 per month — a very attractive offer when fuel prices are above $5 per gallon. A Volt could save a driver as much as $2000 dollars per year in fuel costs at California gas prices, so it may be no wonder that the Volt has hit record high sales for two months in a row. A massive wave of electric vehicles is starting to build in the US. Over the past month record sales in many EV and PHEV models drove total sales of all plug-ins to 5598, a new all-time record. Leading the top performers was the Chevy Volt which sold 2851 vehicles this September. 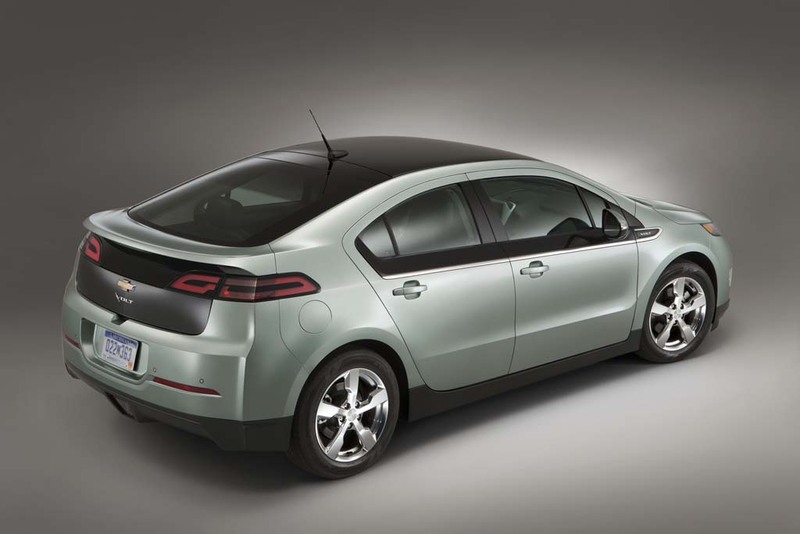 The Volt roared in to post a back-to-back record sales following August’s surge. This sales boost seemed to mock an endless stream of negative and unreliable press criticizing everything from the high numbers of vehicles sold to the Volt’s falling price — which made it ever more available to customers. Directly on the Volt’s heels was the Plug-in Prius. Prius leveraged its powerful brand, a less expensive EV model, and a, somewhat short, though still significant, all-electric range of 11 miles, to sell 1652 units. This rate of sales was far higher than expected and was just two vehicles short of its previous record in April. The Nissan Leaf also showed strong sales for the month, pushing 984 vehicles out onto the road. Nissan is also starting to market a cheaper and a longer-range version of the Leaf for 2013. Honda and Mitsubishi made minor showings to round out total known EV sales of 5598. However, Fisker and Tesla do not release monthly sales figures, but probably sold a total of an additional 250 vehicles (approximate). This likely means that total electric vehicle sales for September challenged the 6000 mark. Already, new offerings for 2013 are starting to become available. Most notable is the Ford C-MAX Energi which is a plug-in hybrid electric vehicle like the Volt and the plug-in Prius. With 47 mpg fuel economy and a battery stack that offers a gasoline free driving range of 20 miles, the C-MAX Energi boasts an EPA 95 MPGe average fuel efficiency. The Energi is less expensive than either the Prius plug-in or the Volt and, therefore, may prove a competitor for added sales and driving down EV prices. With all the new energy swirling around EVs, it appears that total US sales may well exceed 50,000 by the end of this year. The Volt has already sold over 30,000 vehicles worldwide and interest in EVs continues to grow as more people adopt this revolutionary and environmentally friendly new technology. This surge in alternative fuel vehicles couldn’t come too soon. With the Arctic in rapid decline and with impacts from human caused global warming set to worsen, it is high time the world began a shift to less carbon intensive technologies, and to systems that offer the opportunity for radically diminishing greenhouse gas emissions. Furthermore, larger EV fleets will greatly enhance US energy independence by taking a bite out of oil consumption and reducing the need for US oil imports. September saw another record month for Chevy Volt sales in the US. Overall, 2851 Volts were sold just edging out August’s previous record of 2831 US sales. A combination of word of mouth, new Volt marketing strategies, and very appealing incentives to buyers pushed the revolutionary new auto out at ever-increasing rates. Overall US sales are now 16338 for 2012 with total US sales since December of 2010 at 24335. Worldwide total sales for both the Volt and Ampera are now likely within a few vehicles of the 30,000 mark making the Volt the best selling electric vehicle of all time. This month’s sales come despite a massive negative media storm in the conservative press attempting to kill off the revolutionary and disruptive new vehicle and a plug in electric design that threatens to lay the groundwork for breaking transportation’s dependence on fossil fuels across the world. The shrill storm of what could only be called negative advertising included a wide range of attacks using fuzzy math to inflate the Volt’s cost, to brand the vehicle as a taxpayer subsidized failure, or to, in an schizophrenic kind of wobbling criticize the Volt’s lowering cost to consumers. I suppose these various magazines and pundits are against the American people getting a good deal on a revolutionary new technology that promises to kick open the door to US energy independence? In any case, the deafening silence from these sources on over 40 billion dollars in fossil fuel subsidies is telling to say the least. When will the fuzzy math stories on subsidized $10 per gallon gasoline emerge? We’re waiting. In any case, the Volt is the spearhead in a surging US electric vehicles market. Overall, about 5,000 electric vehicles have sold in the US just this month alone. 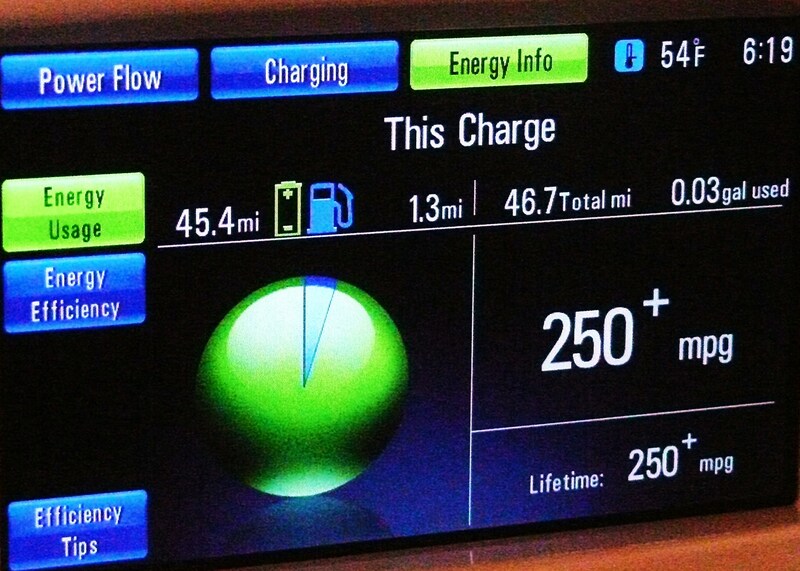 Surging Volt sales in August and September were met by rising Leaf sales as well. The Nissan Leaf, which had seen declining sales over the past few months staged a comeback in September and saw 984 vehicles fly off lots for the month. Nissan had said the Leaf would stage a comeback and made good with a 43% increase over the previous month. In all, a total of 5,212 Leafs have sold so far this year in the US. In addition, a longer-range, lower priced version of the Leaf is about to release. These new advances should make the race between EVs ever more interesting. Though figures for Toyota’s plug-in Prius haven’t yet posted for September, they should be in the range of 800-1200 based on initial estimates. Toyota’s plug in, though boasting less all electric range than the Volt, is seen as a somewhat affordable competitor. But it appears that Chevy’s own discounts and affordable leasing options on the Volt have made it more appealing to the slightly less electric Prius. Toyota, however, is a powerful brand and shouldn’t be counted out in this competition. Additional electric vehicle sales came from Tesla, Fisker, Mitsubishi and Ford. Given the increasing interest and expanding market for US electric vehicles, it appears that the domestic market is on its way to breaking 50,000 total EVs and PHEVs sold by the end of 2012. Overall, a substantial leap forward for an appealing and highly beneficial new technology.